There will be 48 groups of artisans from Nayarit for a total of 180 persons, mainly Huicholes and Coras, but also some Mexicaneros. 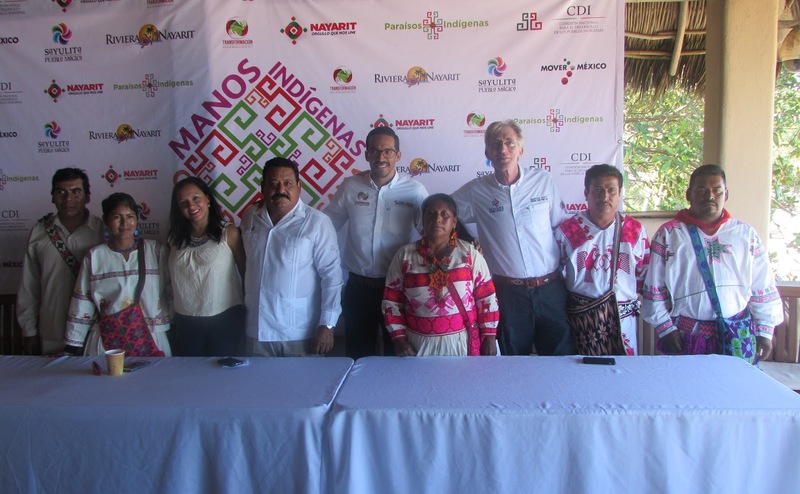 The Magical Town of Sayulita’s main plaza will be the site of the 1st Commercial and Cultural Wixarika Village Nayarit Expo from November 24-27, 2016, an event organized by the National Commission for the Development of Indigenous People (CDI by its acronym in Spanish). There will be 48 groups of Nayarit artisans for a total of 180 persons; the participants are mainly Huicholes and Coras, but also some Mexicaneros. Besides the artisans there will be musicians and traditional doctors present, as well. There will be several booths set up during the expo for the different artistic and cultural presentations such as music, dancing and conferences by ethnic artists and other performers, including the Ballet Mexcaltitán. Among the products showcased by the artist will be beaded handicrafts, yarn art, traditional dolls, backpacks and purses. This event is held with the support of the Bahía de Banderas City Council, the Nayarit State Government via the Secretariat of Tourism and the Riviera Nayarit Convention and Visitors Bureau. Mexico City hosts a similar expo on a national level; in fact, on November 18th it will be celebrating its fourth year. This is where the CDI first got the idea of bringing it to the state level, thus proving the Riviera Nayarit can certainly host the national version in upcoming years.